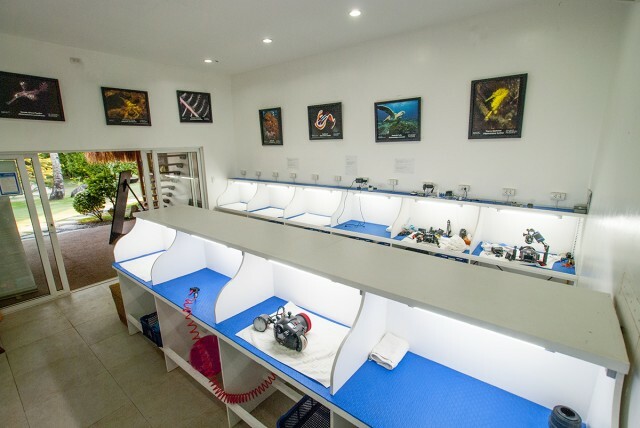 With so many underwater photographers coming to Atmosphere to shoot our famous critters, we needed to expand our space for them and their cameras in our camera room. Our already excellent camera room with air guns, personal lights, 110 and 220 volt charging stations for each diver had to become bigger. Said and done, we have now expanded and comfortably fit 15-20 underwater photographers, each with their own personal workspace and storage boxes.